Craig Alan Manchester obituary. Carnes Funeral Home. 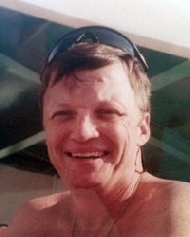 Craig Alan Manchester, 58, of Splendora, TX passed away on August 27, 2013 after a courageous battle with cancer. He was a beloved son, brother, father, uncle, and grandfather. Craig never met a stranger. He touched the lives of everyone that knew him. He was a hard worker, team player and loved life. Although he left us way to soon, he always felt he had a wonderful life. He will be dearly missed. Craig loved fishing (anywhere, anytime), golf, playing his guitar, listening to music, being outdoors and getting together for family holidays. His proudest moments were when he talked about his children and grandchildren. Craig graduated from Westchester High School, attended the University of Houston, earned a Stationary Engineer degree, and was a licensed 1st grade Stationary Engineer. He was a long term employee of Tenneco Realty, Inc and The Methodist Hospital Medical Office Buildings, Inc. He ended his career as Chief Engineer for Boxer Property where he was a loyal 15 year employee, having a direct impact on their operations, profitability, quality service and reputation. Craig is survived by his parents, Karl and Dixie Manchester, son Craig Alan Manchester II and his wife Shoshone, grandchildren Jude and Luke Manchester, daughter, Rebecca MacKinnon and husband, Jay, grandchildren Chase and Taylor MacKinnon, his brother Mike Manchester and wife, Judy, nephews Michael and Kevin Manchester, sister Lori Green, nieces Kelli Green, Kristin Parker and husband Brandon, Karla Crocket and husband Eric, Kortney Green, sister Lisa Schroeder, nieces Sarah and Sydney Schroeder. Great nieces and nephew, Paige Parker, Jackson Parker and Victoria Crockett. A memorial service will be held Tuesday, September 3 at 1:00 p.m. at Holy Spirit Episcopal Church, 12535 Perthshire, Houston, TX. A family interment will take place at a later date.